Our Big Memorial Weekend Sale Starts Now! *Offer valid through 5/28/2018 11:59pm PST at SpeedoUSA.com or by calling 1-888-477-3336. 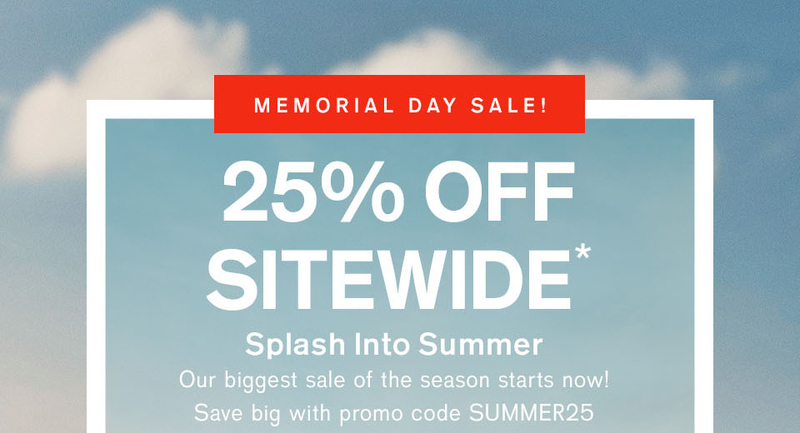 Customers will receive 25% off your order on Speedo merchandise, except as noted below, by adding code SUMMER25 checkout. 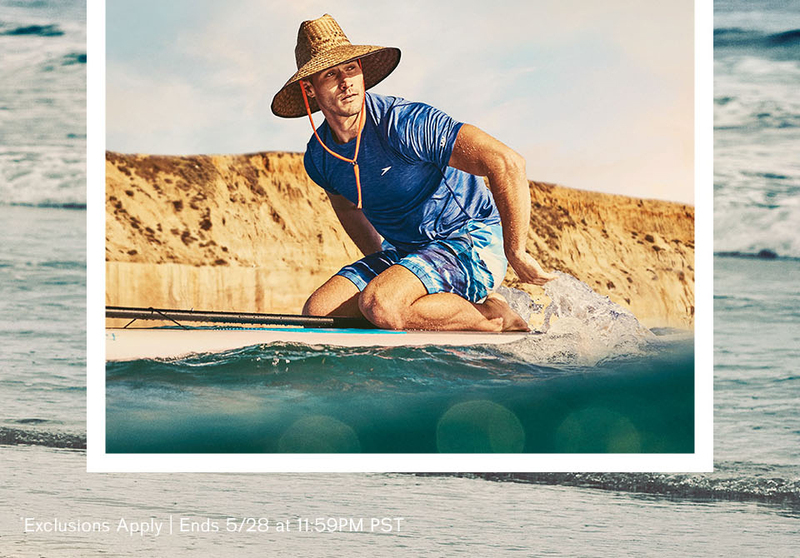 Offer not valid on previous purchases, excludes all Speedo Elite Racing Suits (LZR series, Aquablade and Fastskin), Tri Wear & Wetsuits, Switchblade Fins, Vanquisher EV Goggles, Final Sale items, and online gift certificates. This offer cannot be combined with any other offer. No Cash Value. While supplies last. Void where prohibited by law. SpeedoUSA.com only ships to the 50 United States Speedo and are registered trademarks of and used license from Speedo. Copyright Speedo International. New Team Suits: Modern Matrix is Here! Need It? Want It? Get It.